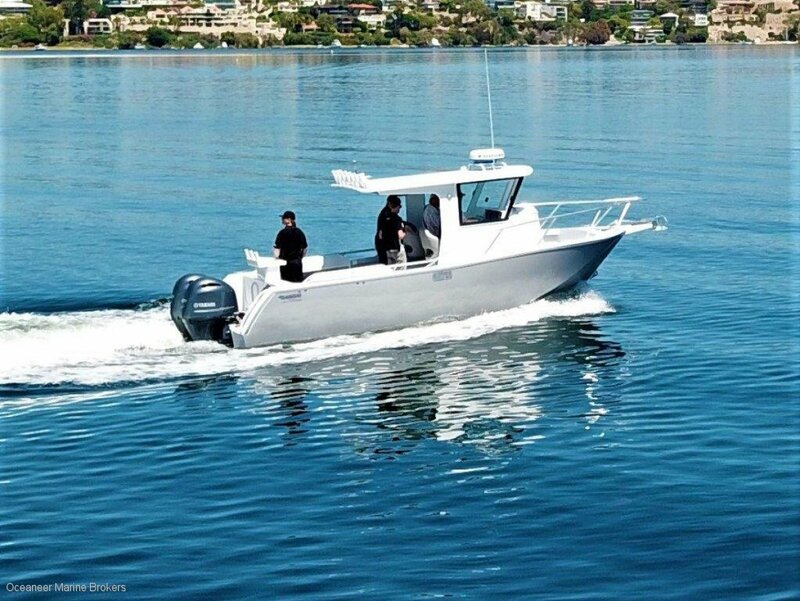 Comes with a complete Furuno package, holds 600 litres of fuel, Island Cabin with foward raking windows, viper drum winch, toilet and lock up cabin. With two Yamaha engines the vessel has a sprint of 43 knots and cruise at 30 knots. Air Riders are renown for their soft ride and excellent sea keeping abilities. They are stable at rest – THE ULTIMATE FISHING MACHINE. Comes on a 4.5 ton aluminium, trailer. This vessel will impress and is priced $40k below replacement cost.